Cut chicken into cubes. In a bowl, combine egg whites and lightly beat with a fork. 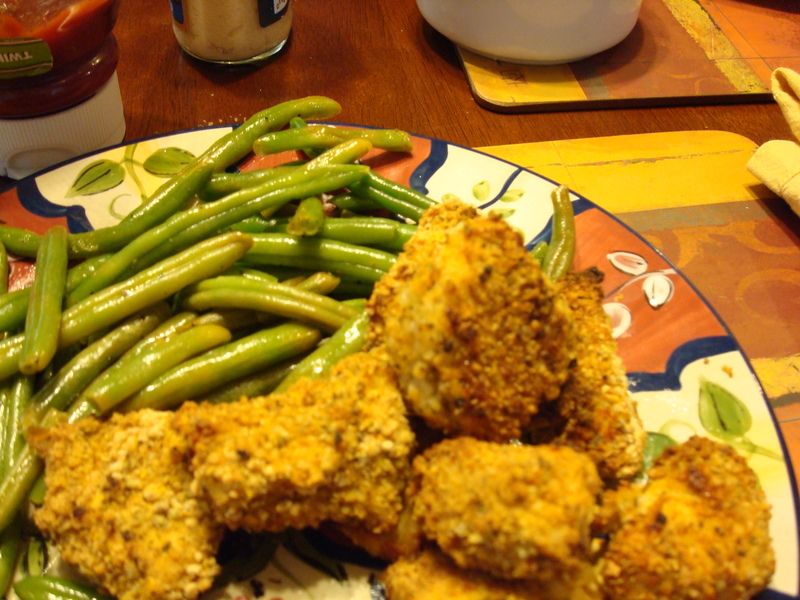 In another bowl, add breadcrumbs, flour, 1/4 teaspoon each of salt and pepper, and nutritional yeast. Lay a wire rack on a baking sheet and spray it with non-stick spray. Bake for 12 minutes, flip over, and bake for 12 more. Serve with ketchup, BBQ sauce or dip of choice! Please do yourself a favor and make these now! This would be so good with homemade honey dijon! Oh wow! Must try these!! This sounds delicious! I always need more chicken breast recipes. YUM!! That looks so delicious and so much better than frying them!! I’ve had these on the back of my mind too since I saw her post. I love that they look like they have a crunch to them! I used to make chicken nuggets all the time a few years ago, and I just got out of the habit. This may be the push I need. So many things I want to make, though. I was just thinking about BBQ pulled pork for dinner. I’ve never made pork though. Maybe I should stick with what I know? I love chicken nuggets but never eat them. I saw how they were made on Jaime Oliver’s Food Revolution and it made me want to puke. There’s one brand at Whole Foods that uses chunks of breast like yours does, and I’ll get that from time to time. But yours look even better!